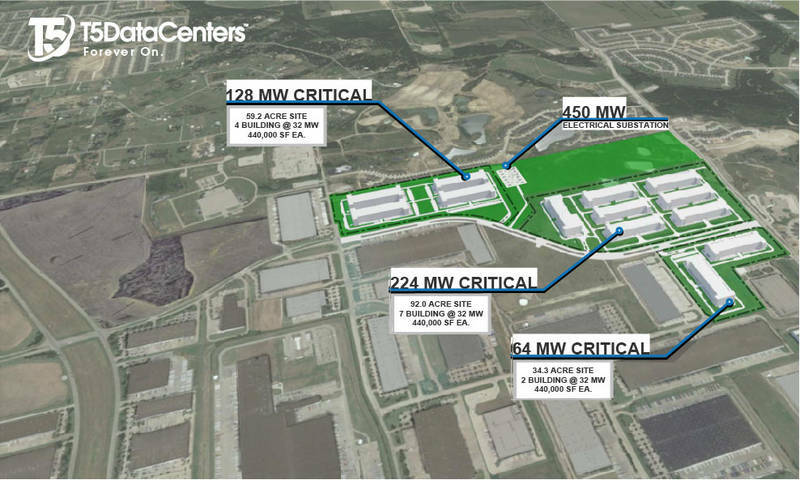 ​​​DENTON COUNTY – T5 Data Centers (T5) and Hillwood are partnering to co-develop T5@Alliance data center campus within AllianceTexas, the 18,000-acre master-planned, mixed-use development. AllianceTexas has initially dedicated 350-400 acres of its infrastructure rich master plan specifically for data centers. Click here to view larger image of site plan.